Puzzle & Dragons proved a smash hit, surpassing 50 million downloads and reaching $1 billion in revenue. 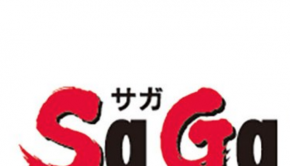 GungHo decided to push the production quality higher for the game’s follow-up titles. This is particularly reflected by the soundtrack for Puzzle & Dragons Z, which is a much vaster and richer effort than its predecessor. 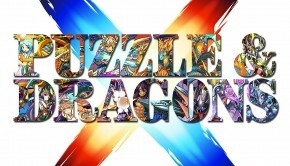 This time round, Puzzle & Dragons returnee Kenji Ito split musical duties with the developer’s in-house composer Yukio Nakajima. 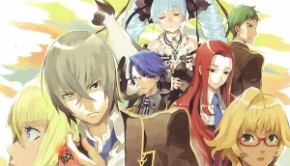 Ito released a soundtrack for the title in March 2014, featuring 23 tracks from the game. The main theme for Puzzle & Dragons Z briefly sets the casual tone for the soundtrack with its vibrant melodies and synthpop stylings. The influences from the original Puzzle & Dragons continue with the world map theme, a similarly carefree theme with playful synthy melodies. Yet both tracks are miles ahead of their predecessor thanks to their much more polished arrangement and richer implementation. “Zed City” sticks pretty closely to the happy-go-lucky tracks associated with dating sims, but still appeals with its flowing melodies and acoustic performances. “Peace Has Come” and “Follow Your Heart” are equally likeable compositions with similar vibes. 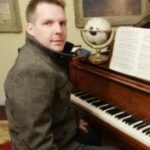 While much of the soundtrack has an upbeat feel, some setting themes bring some surprising, welcome depth to the experience. One of the most rewarding pieces is the soothing and mystical “Temple of Skydragon”. Ito sets the scene for the composition with new-age synthpads similar to those he used on Culdcept Saga. However, he slowly introduces more human elements into the soundscape with an emotional oboe melody, a tender piano section, and a richly orchestrated climax, resulting in a composition that wouldn’t feel out-of-place in a major JRPG. Similarly impressive are “Mysterious Dungeon” with its bittersweet chord progressions and “Ruins of the Great Earth Dragon” with its richly hybridised sound and boundless development. Building on the rocking themes from Puzzle & Dragons, “Winds and Thunder” and “The Heavens and Earth Rumble” are both stunning battle tracks. While they’re explicitly influenced by battle themes of old-school RPGs, they also boast top-notch production values with their flashy keyboard performances. In similar vein are “Skydragon Battle”, “Decisive Battle! 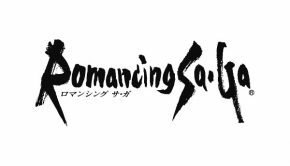 !”, and “Battle Against Dogma”, all bold catchy battle themes with great performances. Skydragon particularly stands out for its guitar and drum work, while Dogma brings in some groovy tones. “The Final Battle” adheres closely to Ito’s standards, developing from its moody gothic-tinged introduction into a brisk brassy orchestration. It’s not among his best, but it works well as part of the overall experience. Along the way, listeners will come across more divisive pieces such as “Showdown! Paradox Agent”, “Syrup’s Theme”, and “Let’s Go Monsters!” These tracks are filled with silly melodies and novelty synth work that will prove charming to some, but annoying to many. Other weaker additions include two cartoonish rock themes (“Paradox Theme”, “Dogma’s Theme”) and the melodically flat “Friends You Can Count On”. The ending theme closes the soundtrack in a suitable manner; it’s another carefree melodious track this time incorporating both synthpop and acoustic sections into its hefty seven-minute playtime. 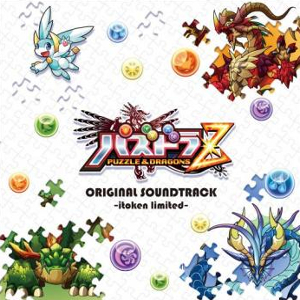 Puzzle & Dragons Z is an enjoyable soundtrack in game and on album alike. The soundtrack greatly improves on the original game with its charming melodies, stylistic variety, and polished implementation. However, there are a few duds and the casual, upbeat approach of the album won’t be for everyone. Overall, a tentatively recommended soundtrack for those who enjoy upbeat synthy music. Posted on July 4, 2016 by Chris Greening. Last modified on July 4, 2016.